Our Training focus on Classic Yoga - hatha yoga postures with emphasis on inner awareness and importance of breath (Integral Vinyasa Yoga). As one of the oldest Yoga Training school in South Africa, we strive to produce exceptional qualified Yoga Teachers all over the world. We train you to become skilled and to be a powerful, confident, positive Yoga Teacher. 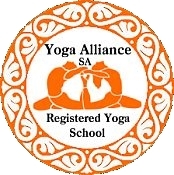 We are a Registered Yoga School (RYC) with Yoga Alliance SA. All graduates of an RYS are eligible to register and hold Yoga Alliance Accreditation as Registered Yoga Teachers (RYT). The training provides a traditional holistic approach to yoga, combining hatha yoga instruction, meditation, chanting, pranayama, anatomy and physiology e.g. * learning how to organise and present classes, etc. Like all Registered Yoga Schools, our Yoga Teacher Training program is required to offer a curriculum based on the guidelines issued by Yoga Alliance. Within these programs is where prospective students will find the differences in how the curriculum is delivered. * Teaching Methodology, Sequencing & Training. * Applied Anatomy & Physiology. * Ayurveda for Yoga Teachers. * Lifestyle & Ethics of Yoga Teachers. * Pre & Post Natal Yoga. * Subtle Energies & Chakras. * Bandhas, Mudras & Kriyas. * Yoga for Special Needs: Children and Seniors. * Practicum Evaluation, Assessments & final Written Examination. * complete and pass 6 months online training. 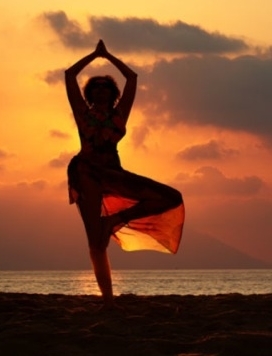 * Yoga practice & experience: minimum 1-2 years with a qualified yoga teacher. * 21 years of age or older. * Successfully attained Matric (high school or equivalent schooling). 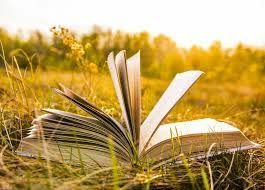 * Have an English level that allows for reading, writing & speaking to a level of full comprehension. * Must not have a severe medical condition that will preclude a student from participating. * Refrain from drug & alcohol use during the program. Application: If you fulfill the Admission Requirements - you are welcome to apply online here! * Full 200-hour Yoga Teacher Training Manual. * PDF book: Pranayama (Breathing) for Yoga Teachers. * PDF book: Asana (postures). * Yogabody: Anatomy, Kinesiology & Asana: Judith Lasater. * Yoga Sutras: Swami Venkataesananda. All text books needs to be in English. Please do not purchase any items, until your receive the official confirmation from our office. Is this the initial training for Yoga Teachers? Yes, this is first program that all prospective teachers attend. There are opportunities for teachers to continue on with advanced programming thereafter. When you complete our 200 Hour Yoga Teacher Training program you will be certified to teach Hatha Yoga Classes. Go here to apply for the Yoga Training. Yoga knows no age and it is never too late or too early to start. All students must be a minimum of 21 years of age to take the program, but from there on everyone is welcome in our programs. What if I am new to Yoga? Everyone is new to Yoga each and everyday. There is no perfection in Yoga, so everyone is welcome at the level they are at. In the program, we all start from the beginning, together! Do I need my Yoga Mat? Yes, please bring along your yoga mat and any other yoga accessories. Is this just for people wanting to teach Yoga? No - anyone wishing to delve deeper into their practice is welcome to join us. The skills and tools we learn in the program can be applied to many aspects of life. Yoga does not just happen on the mat - it happens in every moment! Yes. We welcome students from all backgrounds and ethnicities. Due to the intensity of the program, we require all students be fluent in the English language (reading, writing & speaking). Do I Automatically Graduate if I Attend? No. In order to successfully graduate from this training program, you must successfully meet the certification/graduation criteria (see above). It serves no purpose for us to simply pass students who are not ready or able to teach. It is unfair to you, to the public you may teach and to the integrity of our programming. Are there official Evaluations & Examinations? Yes. All students will complete 1 practicum (teaching a full class), 3 multiple choice quizzes, and 1 final written exam at the centre. Thereafter over six months, monthly multiple choice quizzes are required. When I leave the program, will I be able to teach public classes? Absolutely! Rest-assured that our program is not just a cookie-cutter program designed to get students in & out the door as quickly as we can. Our focus is you, the student, and the student becoming the teacher. Your teaching will be a direct reflection of our program and our intention is based on providing you with all the tools you need to succeed. We will have failed our students if we have provided them with anything less.